After eating an avocado-cucumber salad with salmon at a Lemonaide restaurant the other day, I had to try and make a version of it myself. It was so good with the salmon, but I only had chicken in my house, so made it with that instead. It was also great with the fresh dill, but I didn’t have that either! 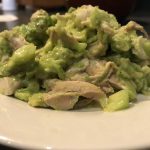 No matter, this Keto dish is very high in good fat (the avocado! ), very low in carbs (the vegs) and some protein (the chicken). Whatever seasoning you add to this would be a personal choice to change it up a bit. 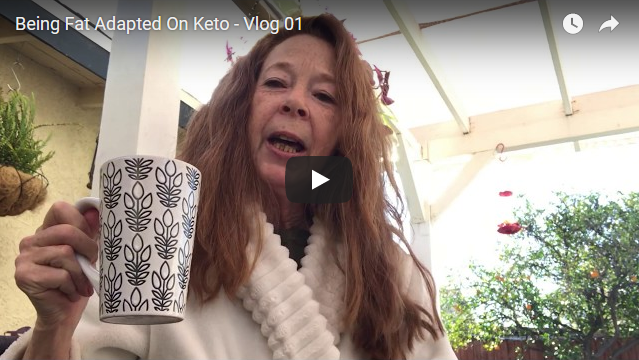 Start with a couple of large organic avocados and cucumbers. 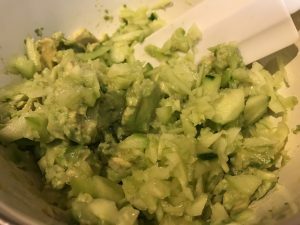 Chop up the cucumber into diced pieces in a food processor. In a mixing bowl semi-mash the avocados (leave some chunky) and add the diced cucumbers. Add some diced green onions (or white onion). Then add shredded (or chopped) cooked chicken (or cooked salmon). Now add the juices, some sweetener and seasoning (white wine, lemon juice, olive oil and seasonings). Mix it all up and enjoy a full, hearty meal out of this dish! 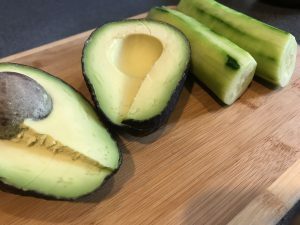 By the way, a way to keep leftovers of this fresh (since avocados turn brown at top) is to put in an air-tight storage container with some sliced onion. I put parchment paper on top of the salad and onion on top of the paper. 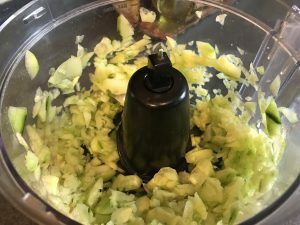 Prepare vegs: Dice cucumber in small bits (in food processor or by hand). 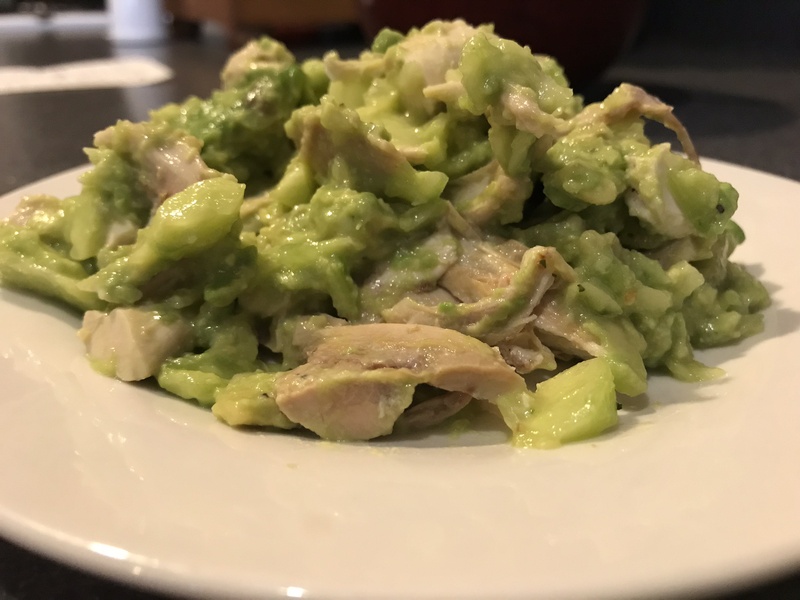 Chop avocados up in a bowl so partly mashed and partly chunky. 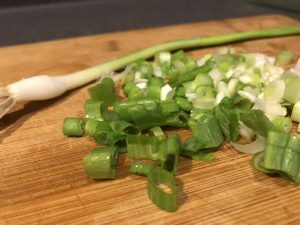 Chop up green onion. 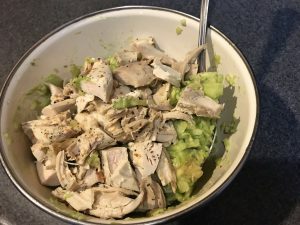 Cut up chicken (or salmon) into bite-size pieces and add in bowl with vegs. 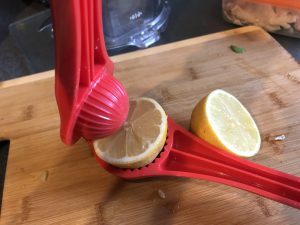 Add juices (white wine, lemon juice, olive oil). Add seasonings in and stir all together.